Following the release of the TMAX 530 sports scooter, YMA is pleased to announce the addition of ABS braking for 2014. YMA is pleased to announce the city slicker Cygnus scooter is now available at participating dealers for just $3999 ride away. 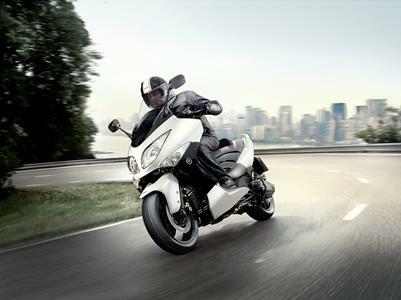 YMA is pleased to announce the arrival of the XC125 Vity to add to its scooter lineup for 2011. The Vity combines city practicality with economy, taking the strain out of the daily commute. Yamaha's XC125 Vino has the kind of unmistakeable flavour and fluid style that only Yamaha could have created. And now the 2008 model is released with a super low $3299 RRP (inc GST). With congested city streets and increasing fuel prices, scooters point to the future of personal transportation. Forget the limo, this is real luxury transport... and it's not just the red carpet ride. Majesty 400 also offers you the greatest luxury of all - more time. Scootering isn't just about saving cash on petrol, beating the tintops through the traffic and parking without hassle. Scooters also make a style statement that says more about you than your impeccable choice of transport. Feisty 49cc, air-cooled, two-stroke engine features zingy power for strong, usable delivery perfect for around-town performance. NXC125 Cygnus scooter- Punish The Petrol Pumps! Yamaha Motor Australia has released a new scooter that mates style and reliability with fuel miser tendencies so that owners can avoid being bashed by the bowser barons. Yamaha has released details of its latest weapon to combat the urban jungle… the super economical 50cc Jog scooter.